In order to move a piano in a safe manner – you will need to find the right ally for the job. And who better than our piano movers Manhattan? Heart Moving is a professional moving company that you can rely on. We know how important your precious instrument is to you and we will do everything that is in our power to ensure its safe transportation. Playing piano, and transferring one are two completely different things. But, when it comes to its transportation – our piano movers Manhattan can help you with it! 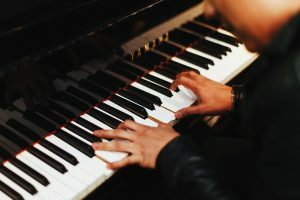 If you are a piano owner and you need professional moving assistance to relocate your piano, you need someone who understands the importance of this musical instrument to you. No one is better for this task than piano movers Manhattan. The piano is one of the largest and most complicated items to move. So, you need reliable and experienced local movers Manhattan trained to handle every part of the piano relocation. Don’t be afraid and let us lend you a hand of trust. Before you even consider to relocate your piano by yourself, remember it is one of the most difficult items to move. Imagine how stressful can be if your piano drops off and smash into pieces? That’s why you should not risk the safety of your piano and hire professionals with knowledge and experience to do it efficiently. With piano movers Manhattan you will get safe of the move of your precious instrument. So, when you start making plans for piano relocation, remember: this instrument has high value and should be handled with care. Get the best treatment for your piano: Hire piano movers Manhattan! The high value of piano requires high-quality Manhattan moving services to reduce the stress and risks of piano relocation. That’s why the most important part of moving your piano is hiring a trustworthy moving company. With our reliable and experienced agents, you can be sure your piano is handled with utmost care. Manhattan moving company has quality and safe moving equipment including moving truck. This is very important for safe transportation of your piano. Our equipment can handle the toughest pianos. No matter of destination you can be sure your piano is packed and transported with the best equipment. Piano movers Manhattan go through hard training to learn how to properly handle your musical instruments. With a wide range of moving services, professionals make a moving plan based on your needs and budget. With piano movers, you can also count on safe storage solutions in Manhattan. Before you sign the contract you can get a free moving quote for your piano relocation. In this way, we provide you with an exact moving price without hidden fees and unexpected delays. Moving crews trained to handle piano relocation are dedicated to providing you with the best treatment for your precious instrument without delays. Safety of your piano is our prime goal! Piano movers Manhattan are dedicated to handling your piano relocation with ease. We understand the sentimental value of your piano and your fears about damages and scratches. But, you can be sure – you can trust our piano moving professionals who are trained to satisfy all your needs. Experienced and trained piano movers know how to take proper care and precautions when planning a piano relocation. Our professionals are equipped with all necessary equipment such as moving dolly, moving pads, straps and grip gloves for maximal protection of your precious piano. With this special equipment item and packing supplies, your piano is completely safe and protected during the transportation. When you are planning a piano move you should be aware that this instrument is very hard to dismantle and reassemble, especially if you don’t have an experience in doing it. That’s why it is so important to avoid hiring fraudulent movers. Heart Moving Manhattan NYC is your trustworthy and reliable partner with the right skills and knowledge to handle your piano in the most efficient way. When you have a reliable moving company you can trust with a move of your piano, the next step is to get the exact price of your piano relocation. And believe, the DIY move can cost you more than hiring professional moving assistance. 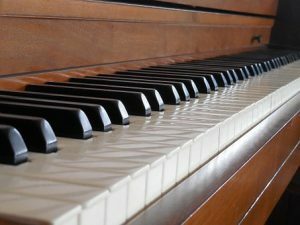 The DIY move can end up with damages and crushes so hiring piano moving crew can cost you less than all complications after the DIY piano move. So, it is time to plan your moving budget. Charges for piano relocation depend on the size of your piano, packing services, storage solutions and the distance between two locations. Remember that there is a difference in price when moving a small upright and your concert grand piano. For more info about your piano moving price, contact our moving company. We understand the size and weight of your piano, but also we understand who precious it is for you. All the inconveniences about moving a grand piano, unpacking and settling it into your new home end with our reliable moving crew. 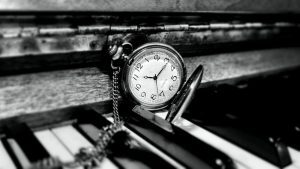 We understand your piano carries great value, sentimental or monetary, so you want the safe and careful handling of it. That’s why piano moving requires proper equipment, muscles, teamwork, knowledge, and training. We have it all – our professionals can solve piano relocation without problems and complications. Hiring moving experts to take care of your piano is the best thing you can do. You don’t want anything bad to happen to you, or to your precious instrument. So – let our piano movers Manhattan move your instrument for you. 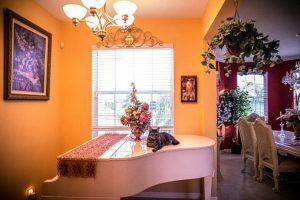 Give us a call right away, and let’s start preparing for your piano relocation project right away!